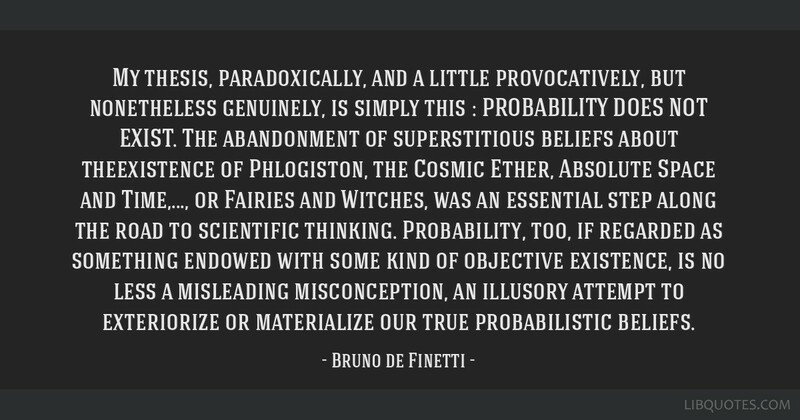 My thesis, paradoxically, and a little provocatively, but nonetheless genuinely, is simply this : PROBABILITY DOES NOT EXIST. 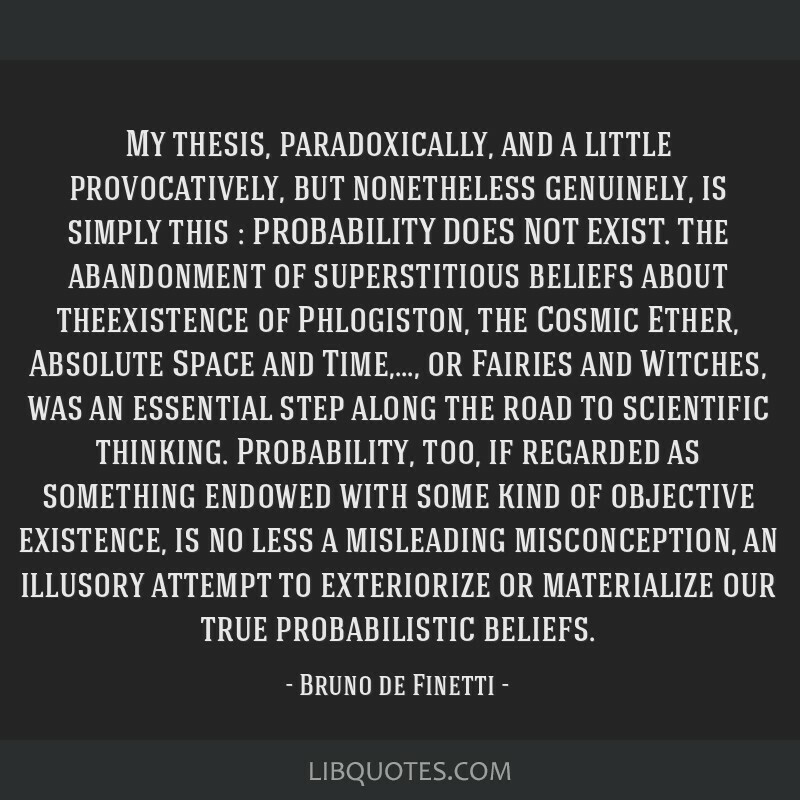 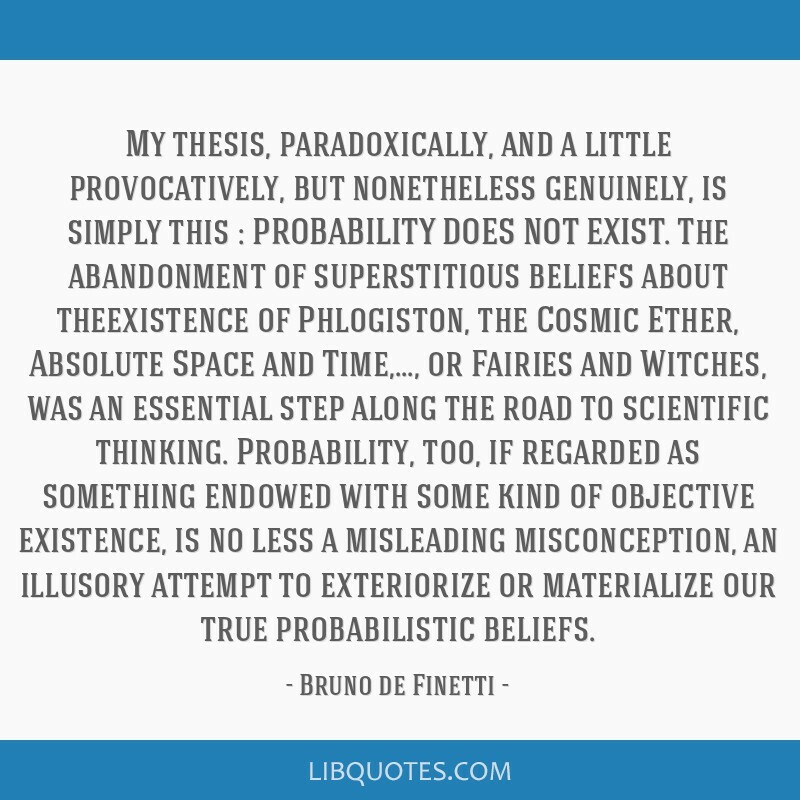 The abandonment of superstitious beliefs about theexistence of Phlogiston, the Cosmic Ether, Absolute Space and Time,..., or Fairies and Witches, was an essential step along the road to scientific thinking. 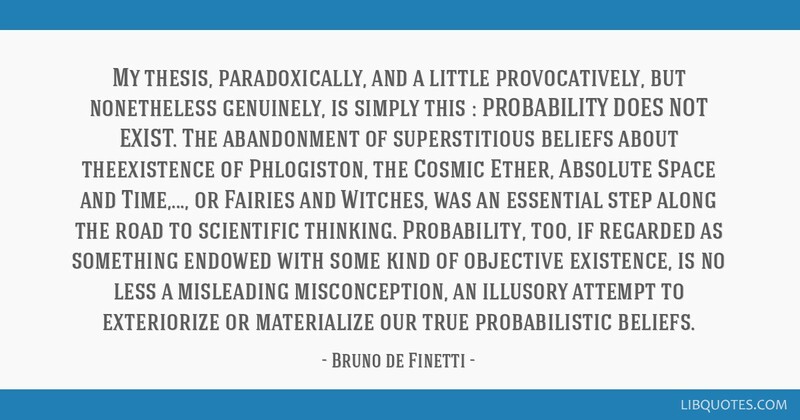 Probability, too, if regarded as something endowed with some kind of objective existence, is no less a misleading misconception, an illusory attempt to exteriorize or materialize our true probabilistic beliefs.